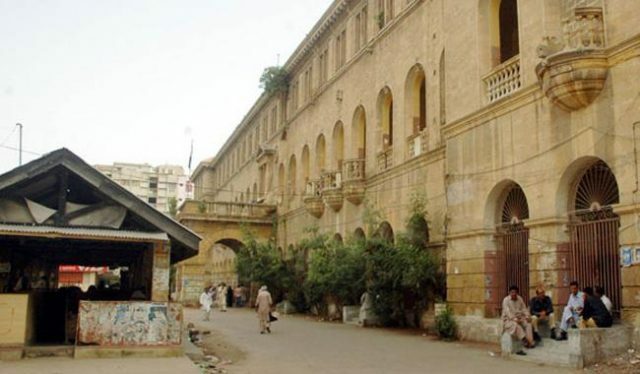 KARACHI: Karachi Bar Association announced to boycott the judicial proceedings at courts against police torture and arrests of lawyers outside Sindh assembly. On Tuesday, Sindh police launched crackdown against the lawyers protesting outside the provincial assembly and arrested over 30 of them. Cases were registered against them at Aram Bagh police station, according to police station. The bar association demanded the provincial government to release the lawyers, who were arrested from the protest demonstration outside the provincial assembly on Tuesday, and withdraw all cases filed against them. The KBA had announced it will stand by the government lawyers till their demands are met, as their protest entered tenth day on Wednesday. All judicial proceedings have been suspended early this morning. The lawyers said they are protesting as they are not getting promotions and three basic allowances for seven years now. The strike by the government lawyers and prosecution staff caused troubles to thousands of litigants coming to the City Court.